As an analyst, you are at the mercy of your implementation. If something breaks or was not scoped out in the initial implementation, analysis stops. When analysis stops, valuable insights are hard to come by. 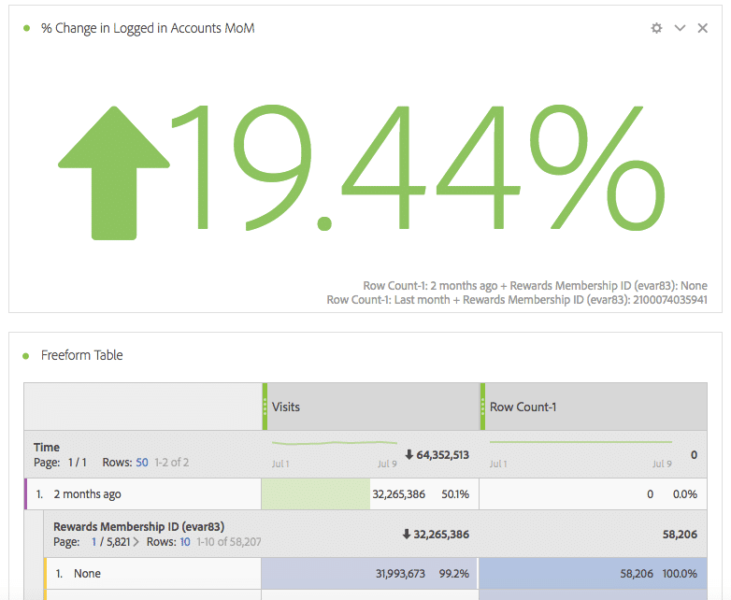 When I find myself in these situations, I turn to one of my favorite features of Adobe Analytics: the calculated metrics builder. 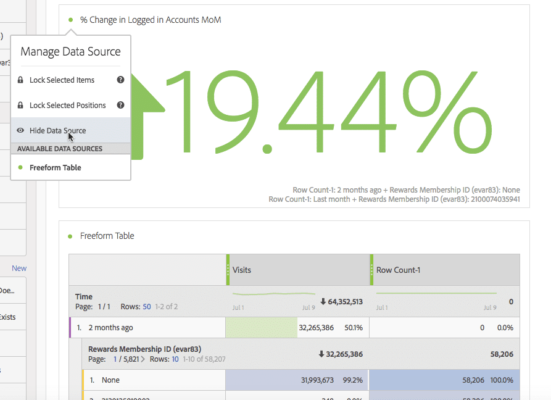 With a combination of segmentation and advanced calculations, calculated metrics can help you solve problems of broken variables and missing data, plus generate reports previously only available by exporting data outside of Adobe Analytics. Let’s go through three common problem scenarios and how calculated metrics can be used to solve them. Once you have found the problem and fixed it, the data is now flowing correctly but leaves you with a gap. At this point, you’d probably just cut your losses and fondly remember The Great Flatline of May 10th. The first step is to find another metric that trends similarly to the one that broke. Go to the page and click on the link. Are there any other variables that fire on that hit that you can use? You can use any combination of events, eVars or props to find a proxy for the broken event. For example, maybe every time that link is clicked it takes you to a page with a specific query string parameter. If you are capturing the full URL in a prop and/or eVar (highly recommended) then you can use that as your proxy. If you have Activity Map set up, you could use the activity map link names. You may need to experiment with different combinations. Either situation will work. It is important to remember that this metric isn’t meant to be a source of record, it is just something to help fill in the gaps for trending purposes. Once you have found your metric, grab 200 days (or as many as you can, based on the implementation) of data for both metrics and download the data as a .csv file. Someone from the marketing team lets you know that there is a group of important links that are present on some blog pages. Any time a user clicks on these links it means $10 for your company (once per visit), so it is important to track this conversion. Oh, and one more thing — she needs to know how those links have performed since May 1st. And now it’s June. Had you known about this back in April, you could have set up a currency event to increment $10 every time someone clicked a link and then set it to fire only once per visit. Now, unless you have a DeLorean in the break room, that ship has sailed. The first step is to go to the website and click on the links that you need to track for the marketing team. Much like you did above, you are looking for something unique that you can use as a proxy for each of the important links. 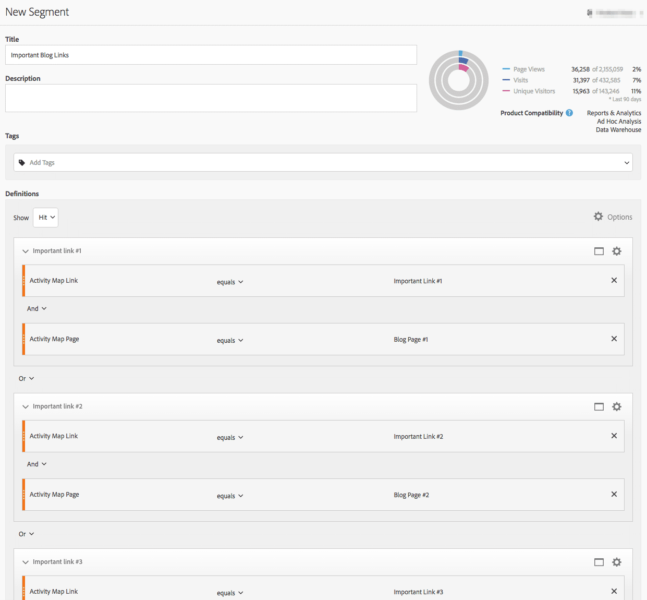 For this particular client, we have Activity Map set up, which identifies links that are clicked even if you have not specifically tagged them with any custom variables. It is important to be as specific as possible in this segment to make sure we are only capturing the clicks on these links. 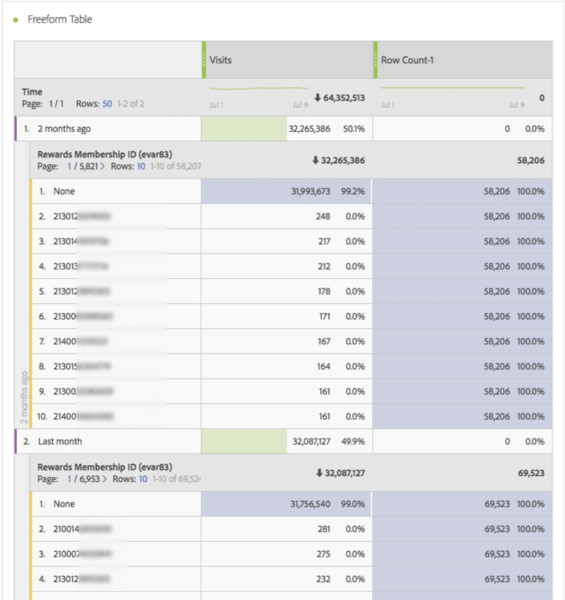 For this reason, use both the Activity Map page dimension and the Activity Map link dimensions to specify the hit of each link. 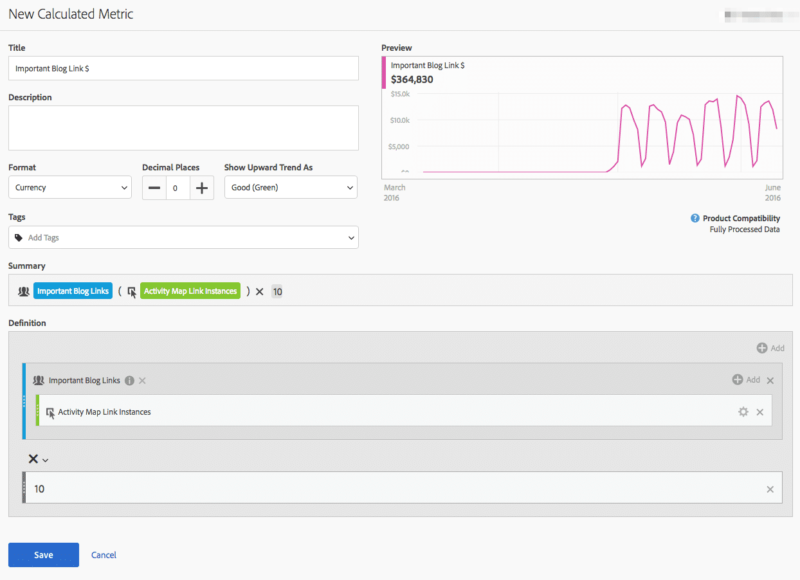 Add the segment you just created and then add the “Activity Map Link Instances” metric within the segment. You can then multiply it by a static number. We wanted each link click to represent $10, so we will multiply by 10 and turn it into a currency format. 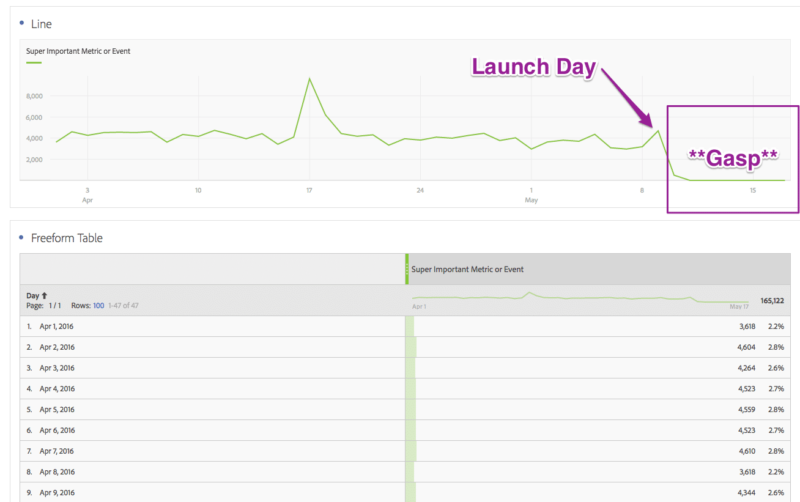 We can see the metric is working as of the day we implemented Activity Map. 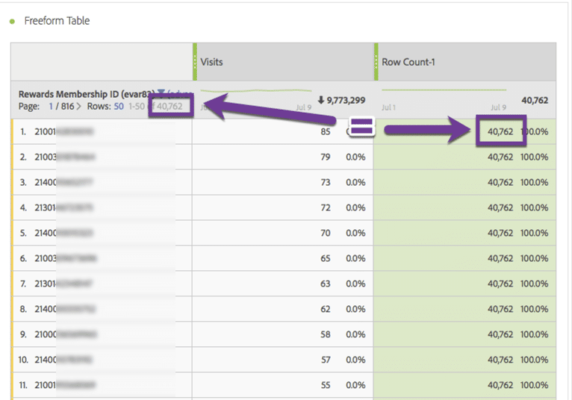 You can use this metric in all of your other Adobe Analytics audits and reports to see what traffic sources are bringing in more clicks to those specific links. Your boss would like to see the total number of Reward IDs that have logged in this month compared to last month. 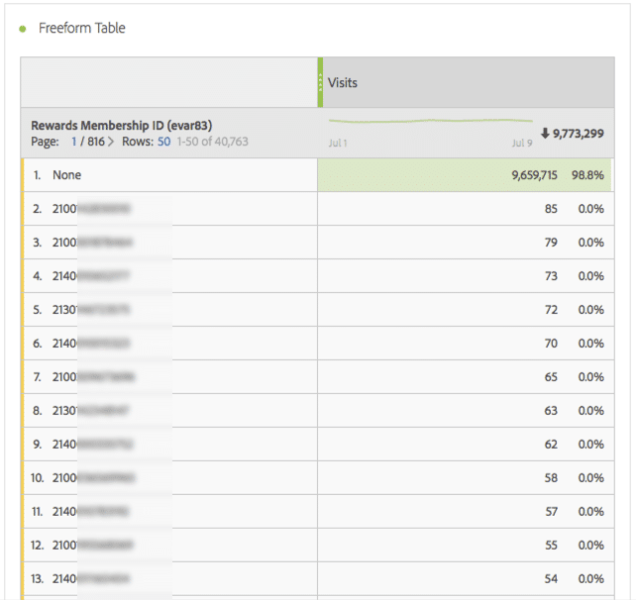 It is important to note that rather than seeing unique visitors, he is interested in seeing unique Reward IDs, knowing that many users log in from multiple devices. Now, of course you can get this data in a number of ways, but you already have an Analysis Workspace project report that you send out every week and this would be a perfect number to add to the top of that dashboard. In this situation, we are capturing Membership ID in an eVar whenever the user logs in. 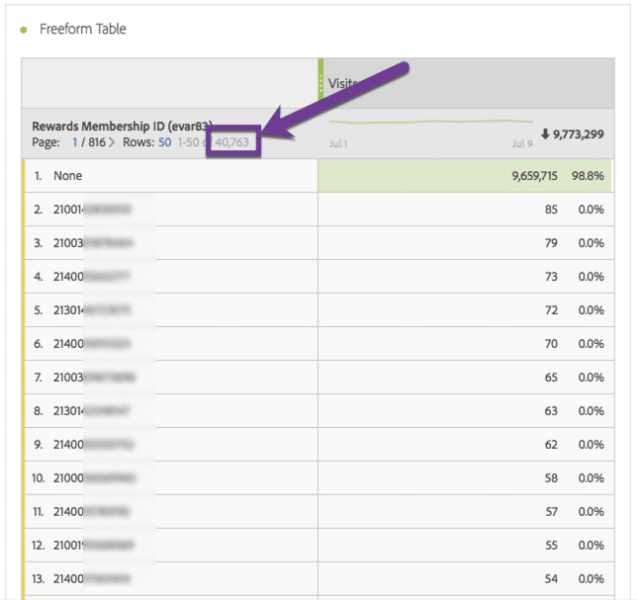 This means that if we go into Analysis Workspace and add the Membership ID eVar, the number of rows is equal to the number of individual Membership ID’s that have logged in given the time period. 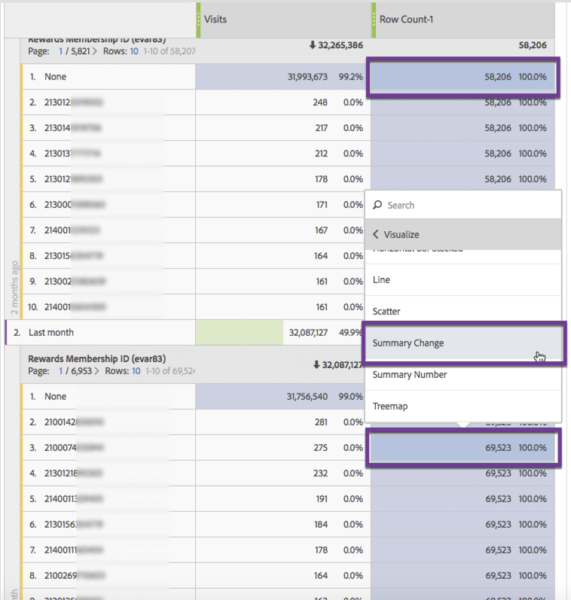 When Adobe Analytics added the ability to segment your calculated metrics, they opened the door to analysis that I did not even think was possible, given the limitations of the reporting interface. Want to dive deeper? Check out this massive 51 page calculated metrics resource (PDF) from Adobe Analytics with FAQs, How To Videos, explanation of unified calculated metrics, and more. 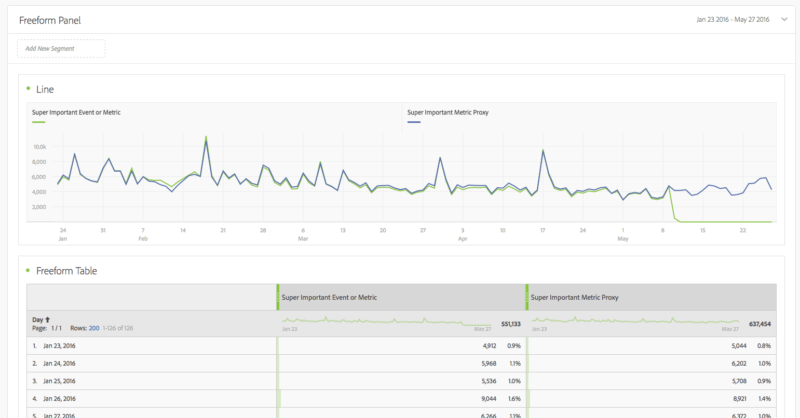 Let us know if you have any questions or comments about calculated metrics builder, analysis workspace or other related Adobe Analytics analysis. Hello Brad, I’m Brazilian and a big fan of your blog, I work with Web Analytics here in Brazil, and in an implementation I noticed that Adobe Analytics does not work in custom mode correctly, and I manually made the implementation via DTM. The implementation is done and is 100% but I am having difficulty implementing stagging, I do not know which variable to add in the script, could you help me? In the normal way of doing for s.account, it is not working and is generating second server and consequently Overusage. How can I solve this problem? Thanks, and congratulations for the blog. You can also get the DTM switcher extension for Chrome which allows you to put the page in “staging” mode without the need to change the snippet. Var s_account = s.account; And I do not know where to insert the account of my homolog, I think I need some additional function for it, because if I put in the s.account variable, I can create an overusage in Adobe Analytics. Can you help me? I think it’s something simple, but I have not found it anywhere. Thanks for the attention Olaf! Within the code you need to add logic for either case. You need to have a way of determining which environment you’re on and then add logic to pick the correct report suite accordingly. This will recognize any url containing “www” within the hostname as the production report suite. Anything else would be sent to the staging report suite. Great info! I have a question on #3 though. When I do this I have a row with significant traffic that is labeled “low traffic.” Since these are being bundled together into one row, this tip doesn’t work in this scenario, correct? Hi Brad, great read! Wondering if you know of any existence of something along the concept of a UDF? 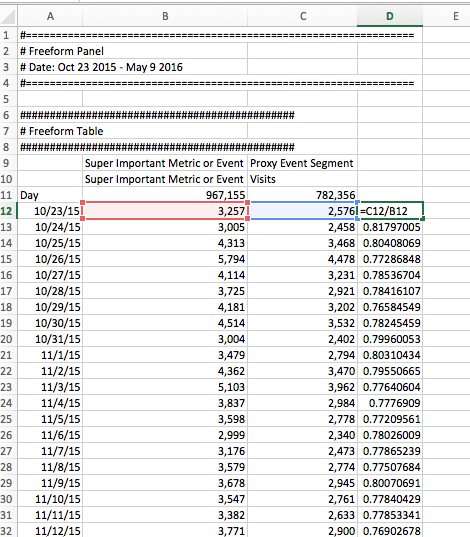 So instead of building calculated metrics, have a user defined function to calculate any arbitrary metrics, ie. f(x, y) instead of f(Metric1, Metric2). Is this possible? Thanks for reading Eli! unfortunately, that is correct. This tip won’t look past the “low traffic” line items. Hey Fred! Thanks for reading. Would you be able to give me some more detail as to what you are trying to accomplish? That might help me point you in the right direction. Hey Brad, I am trying to run the same calculations on multiple reports… So im implementing a function rather than a metric. a simple example would be whether adobe allows user to define a plus or minus operation… without identifying what metrics im doing the operations on. So for example, if you have a table with “Day” on each row, and a column for “Entries” and another for “bounces” you’d want to to have a column that basically is saying “divide column 1 by column 2”. 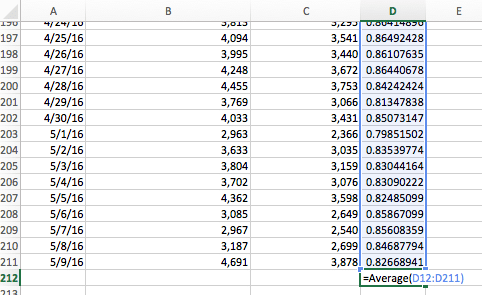 In this situation you’d have bounce rate but if you were to change the metrics to be Orders in column 1 and Visits in column 2 the third column would remain and now it would be conversion rate (dividing orders by visits). Would that be a correct description of what you’re looking for? If that’s the case, no it’s not possible to do this within Adobe Analytics. You always need to define what metric you are talking about in a calculated metric. 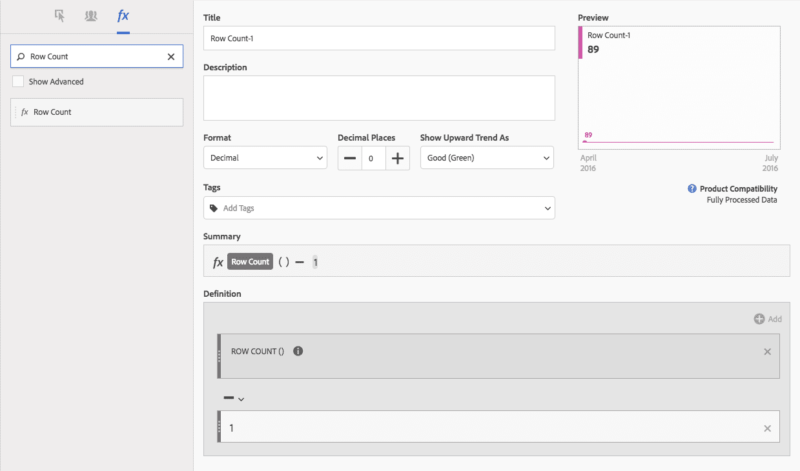 This doesn’t solve what you’re looking for, but you will be able to make quick, simple calculations on the fly by selecting the two metrics you care about in a table, right click and then select “create metric from selection”. it will give you a few simple options including: divide, subtract, add, multiply, and percent change. 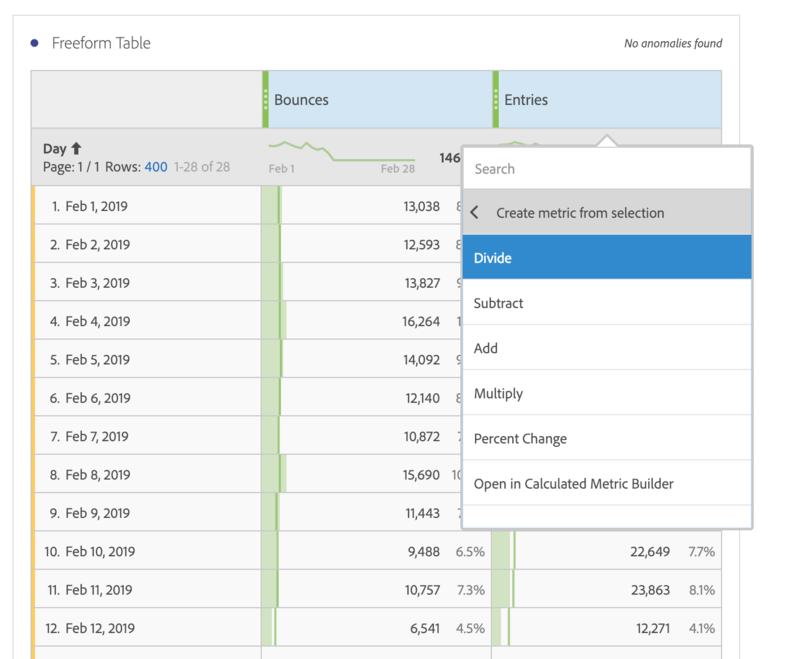 If you need more complicated functions you can select “open in calculated metric builder” where you can then build more complicated functions based on those two metrics.